Is the Extraordinary Man ready for what's coming? Judging by how things have panned out on Monday Night Raw in the recent weeks, WWE could be planning to push the Extraordinary Man Finn Balor. The former NXT Champion just pinned John Cena to seal his place in a fight against Brock Lesnar for the Universal Championship at the Royal Rumble. Considering that the birth of All Elite Wrestling has brought some legitimate pressure on WWE, Vince McMahon is certainly looking to put his best foot forward going forward in to 2019. With Finn Balor now scheduled to lock horns with the Beast Incarnate, this dream match could very well be a 'do-or-die' situation for the Extraordinary Man. While legions of fans are claiming the match will end with Lesnar squashing Balor, others are still hoping that the match could certainly go down as one of the most compelling in Lesnar's career. Since rumors have emerged that the Mayor of Suplex City himself selected the former Universal Champion for the Royal Rumble, this could very well lead to a fantastic encounter between the two. But, where does this lead Finn? Is he going to get a huge push after he fails to beat the Conqueror at Chase Field? That's the question that deserves an answer. 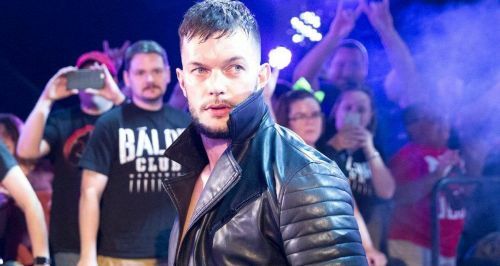 So, without further ado, let's dive deep and analyze the 4 biggest things Vince McMahon could be planning for Finn Balor. If anyone in the WWE Universe thinks that Brock Lesnar's clash with Finn Balor for the Universal Championship is going to end up being a disappointing ride, then you certainly are watching the wrong show. If history is any indication, Brock Lesnar has always performed reasonably well against guys who are leaner than him and possess all the agility and athleticism to knock it out of the park. Superstars like CM Punk, Seth Rollins, A.J. Styles, and Daniel Bryan are enough examples to prove that this bout between the two could be riveting and would probably end up showing how talented Balor is, as a wrestler. The Extraordinary Man certainly understands his craft, and with Vince McMahon planning to push him, this match would definitely see Finn taking Brock Lesnar to his absolute limits. Performances like this can easily solidify a superstar's future and status backstage, and the fans always love to see a 'David vs. Goliath' storyline pan out in the most creative way possible. Ending the match with Lesnar showing his respect for Balor could easily end up being one of the biggest moments in Balor's career and would catapult his position as a top guy on the main roster.